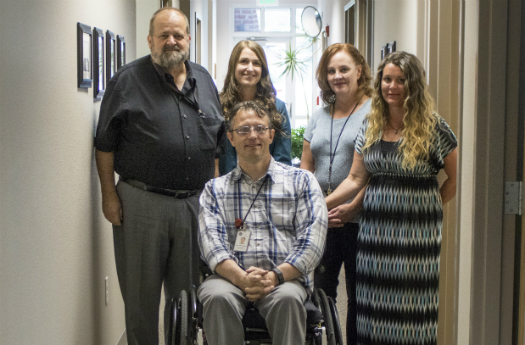 Helping Utahns with disabilities obtain meaningful employment and increase independence. Services that increase independence and integration for individuals who are blind or visually impaired. Counseling and guidance services to help individuals with disabilities achieve their employment goals. Programs serving a community of individuals who are Deaf, hard of hearing, DeafBlind and their families. Services that determine the medical eligibility portion of Social Security disability claims. Case management services and resources for adults and students with disabilities. Resources for parents and teachers working with children and students with disabilities. Participate - how accessible is public transportation for people with disabilities. We support business partners in their efforts to hire people with disabilities and improve workplace accommodations. We provide basic disability training and education to dispel myths about employees with disabilities. We help individuals with disabilities obtain meaningful employment, integrate into the community, improve accessibility in their activities of daily living and determine eligibility for federal disability benefits. By addressing each client’s unique needs and vocational goals, we’ve connected thousands of rehabilitated individuals with employment.